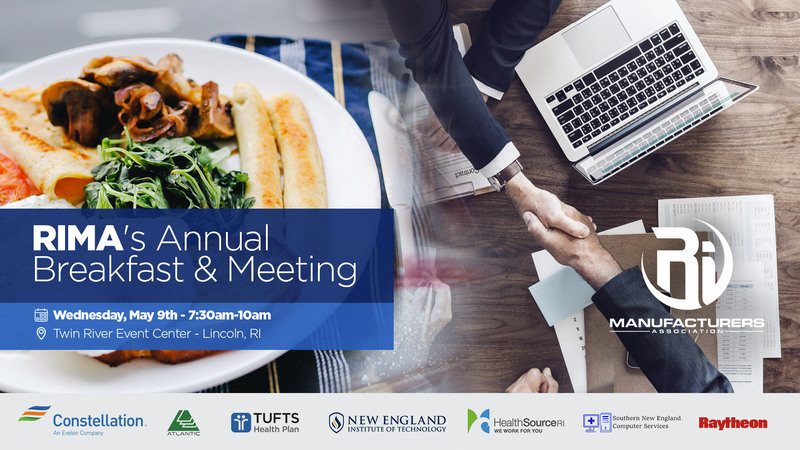 The Rhode Island Manufacturers Association (RIMA), an organization dedicated to connecting Rhode Island manufacturers with the resources needed to compete and grow, is hosting their annual Breakfast & Meeting at Twin River Event Center on Wednesday, May 9th. The Breakfast & Meeting will host a variety of noteworthy special guests and speakers, including Speaker of the House Nicholas Mattiello, Lt. Governor Daniel McKee, and Fulcrum ConsultingWorks’ President & CEO Rebecca Morgan as the day’s Keynote Speaker. Speaker Mattiello and Lt. Governor McKee will be touching on various economic and education related issues they feel is pertinent to RI manufacturing. Rebecca Morgan has managed operations strategy for some of the leading manufacturers in the U.S., including Avery-Dennison, VitaMix, and Moen. Having over 35 years of manufacturing related speaking experience, Ms. Morgan will be discussing why and how manufacturers should consider advancing technology in creating the future they seek. For more information on Rebecca and FulcrumWorks, you can visit their website at http://www.fulcrumcwi.com. The event will take place on Wednesday, May 9th from 7:30AM to 10:00AM at Twin River Event Center on 100 Twin River Road, Lincoln, RI. Breakfast and coffee will be served. To learn more about the event – and to register, visit http://rimanufacturers.com/event/annual-rima-breakfast-meeting. For information on sponsorship opportunities, please email Tarah Warner at tarahandzachary@tmwproductions.biz.